Santino Marchiol’s best shot of playing immediately at Arizona is convincing the NCAA he deserves a waiver—a strategy that appears at odds with Texas A&M’s interests. 4. The previous institution's athletics administration does not oppose the transfer. The circumstances of Arizona linebacker Santino Marchiol’s transfer from Texas A&M could provide a roadmap for players who are interested in transferring schools and playing immediately. In turn, colleges might become motivated to treat their players with more care and possibly attempt to dissuade them from transferring. The transfer circumstances of Marchiol, 19, who enrolled at A&M in January 2017 and redshirted his freshman year, are detailed in Dan Wolken’s in-depth feature for USA Today. Those circumstances include Marchiol’s allegations that the coaching and training staff directed by head coach Jimbo Fisher, who took over for the fired Kevin Sumlin in December 2017, engaged in numerous kinds of misconduct. To that end, Marchiol asserts that coaches encouraged him to bribe recruits with impermissible benefits; that so-called “voluntary” practice sessions in June were de facto compulsory; that foul and bullying language became prevalent during practices; and that he was all but compelled to play through a serious ankle injury in direct contravention of doctors’ orders. In short, Marchiol regards the culture of Aggies football under Fisher as abusive and injurious. Marchiol eventually identified an opportunity to transfer to Arizona and completed his transfer earlier this month. Marchiol was especially interested in Arizona since he would be reunited with Sumlin, whom Arizona hired as head coach in January. Given that he redshirted his first year at A&M, Marchiol is understandably interested in playing immediately for the Wildcats. Enter the new waiver policy for transfers. Marchiol transferred to Arizona without apparent protest by A&M. Under a separate new NCAA transfer rule that will take effect on Oct. 15, a player in Marchiol’s position would likely not need A&M’s permission. The new rule instructs that unless otherwise determined by a conference, players are no longer required to obtain permission from their current school in order to contact another school before they can receive a scholarship after transfer. Regardless of this new policy, the player must satisfy the four conditions for a waiver in order to play immediately instead of having to sit out one season. One such condition is that the current school can’t have opposed the transfer. Marchiol would also advance his chances for a waiver if he proves that he was in good standing at A&M and had met his percentage-of-degree requirements. The most controversial question as to whether Marchiol is entitled to a waiver is whether Marchiol’s treatment at A&M directly impacted his health, safety and well-being. This is a question that has attracted the interest of NCAA investigators, which, per Wolken, have begun scrutinizing A&M for possible rule violations in relationship to Marchiol’s claims. In this regard, the interests of Marchiol and A&M are now diametrically opposed: Marchiol is incentivized to present the most negative depiction of his time at A&M so that the NCAA will be more likely to grant a waiver, whereas A&M is incentivized to present the most favorable decision of Marchiol’s time at A&M so that the NCAA will be less likely to punish the school. Outside of the four factors for a waiver, there is not much guidance on how the NCAA evaluates waiver requests. As Wolken details, the NCAA has granted waivers to several transfer players but done so without accompanying explanation. Further, in the case of players who transferred out of Ole Miss, the transfers occurred after the school was punished—meaning Ole Miss, unlike Texas A&M, didn’t face the possibility of a transfer student informing the NCAA of wrongdoing to which the NCAA had been unaware. It’s also not certain if the NCAA has rejected any requests. As noted above, dueling incentive schemes could significantly influence the strategies of both a player interested in transfer and the school he or she intends to leave. A player who transfers to another school and wants to play immediately might no longer worry about his or her reputation on the previous campus. Such a player is thus less likely to worry about the stigmatic and reputational consequences of telling the NCAA the truth about misconduct that occurred at the previous school and sharing every and all details about such wrongdoing. In fact, the player stands to gain from relaying those details: the player is more likely to be granted a waiver. Still, the school that loses the player may need to provide statements and evidence—and use up the finite time of coaches, players and administrators—in order to satisfy NCAA requests related to the player’s allegations. Also, while in theory a school could sue a former student for defamation if the student lies about the school in reputation-harming ways, the reality of doing so is hardly practical. Further, even a successful defamation lawsuit suit would take months, if not years, to play out and would thus not provide the school with short-term relief. This all adds up to a good deal of leverage for a prospective transfer player. It will be interesting to see if the leverage that a prospective transfer student has over a school impacts how well schools treats their players and how fastidiously schools comply with NCAA rules. In the wake of the death of Maryland offensive lineman Jordan McNair due to complications from heatstroke and allegations of a “toxic coaching culture” at the Terrapins, much attention has been paid to the treatment of athletes at top programs. While relatively few players tend to transfer from any program, schools now know that any player who transfers may be incentivized to detail wrongdoing in hopes that it makes it more likely he or she can play immediately at a new school. Although Marchiol has retained the counsel of attorney Thomas Mars (who represented Houston Nutt in litigation against Ole Miss), there likely is no legal controversy at this moment. Before a court would entertain any kind of claim, Marchiol first must go through the NCAA’s waiver process and avail himself of remedies offered by the NCAA. Indeed, filing a lawsuit right now would likely be met with swift dismissal on account that the claim is not yet “ripe,” meaning the facts and accompanying process have not yet matured into an adequate record of review for the court. If the NCAA rejects Marchiol’s waiver request, he could consider legally challenging the NCAA’s transfer policy and/or how it has been applied to him. In such a challenge, Marchiol would demand an injunction forbidding the NCAA from declaring him ineligible for this upcoming college football season. However, players have not enjoyed success with legal challenges to NCAA transfer rules. In June, the U.S. Court of Appeals for the Seventh Circuit upheld a lower court ruling for the NCAA over former Northern Illinois University punter Peter Deppe. 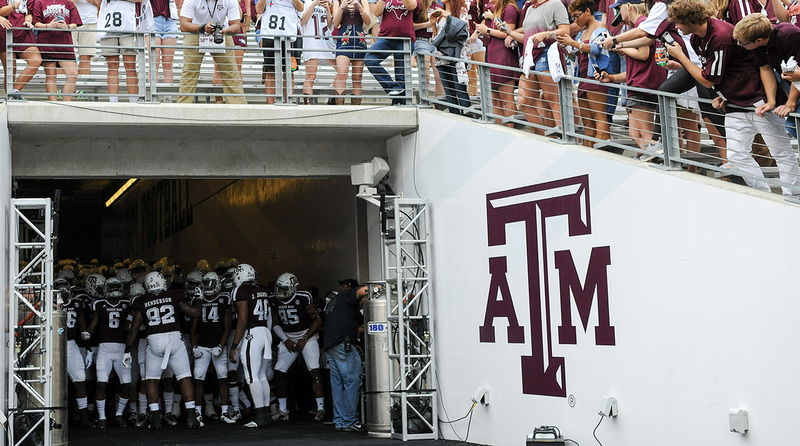 The lawsuit concerned the legality of transfer rules under federal antitrust laws. Writing for a three-judge panel, Judge Diane Sykes stressed that “NCAA eligibility rules are entitled to the procompetitive presumption . . . because they define what it means to be a student-athlete and thus preserve the tradition and amateur character of college athletics.” Marchiol’s best shot of playing immediately is convincing the NCAA he deserves a waiver—a strategy that appears at odds with A&M’s interests.